Tread is the part of the step upon which one walks. 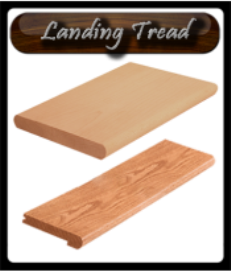 We offer a complete assortment of treads in various widths, lengths and configurations, to include plain treads, treads with a miter return on one end or miter returns on both ends. Our treads are available in 14 standard and custom wood species and additional species can also be quoted. Remodel your ugly carpeted stairs to beautiful hardwood with the RetroTread®. Simply tear away your old carpet and install the RetroTread®. Extra long cove (1 1/4") is integrated under the nose to discreetly cover the joint between the old tread and riser. It also provides greater flexibility in covering imperfections. 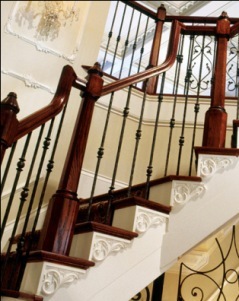 Gives the stair system a pleasing traditional appearance of fine craftsmanship. 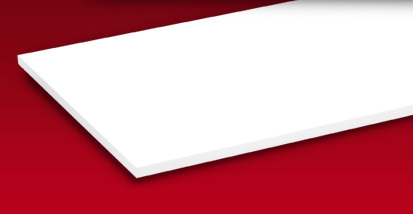 RetroTread® is made of solid hardwood, unlike competitive products that are made of plywood with a thin veneer face. Our RetroTread® allows the same performance as solid hardwood products for strength, stability, and superior finishing. Thanks to strategic engineering, our solid tread is thick enough to allow resanding and refinishing so it has the same longevity as a standard solid hardwood tread. However, it is also thin enough for minimal impact on overall rise and run of the stair system. The RetroTread® is engineered to prevent the tread nosing from breaking away from the tread. Two factors contribute to this desirable result. Both the tread and nosing are solid components to permit the strongest juncture. The time-proven mechanics of tongue-and-groove construction increase the adhesive area by 40 percent, which greatly strengthens the adhesive bond. 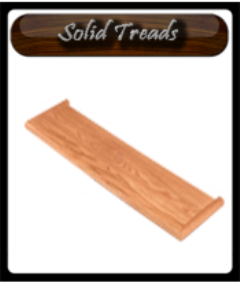 Treads are solid hardwood construction, edge-glued, kiln dried, tread staves are hand matched for color, surfaced three sides, nosed one edge and sanded on face. Lengths 36", 42", 48", 60"
Provides for stronger, more stable performance with superior finishing properties. 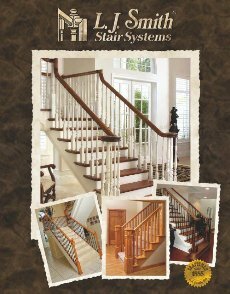 Perfect companion product to use with the Young RetroTread® to give your stairway a COMPLETE new look. Cut to size, apply urethane based adhesive and tack in place with a couple of finish nails. 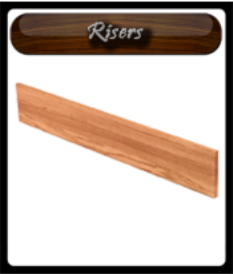 Risers are solid hardwood construction, edge-glued, kiln dried, staves are hand matched for color, surfaced four sides, and sanded on face. Solid hardwood construction, kiln dried, surfaced three sides, nosed one edge and rabbeted for ¾" flooring.